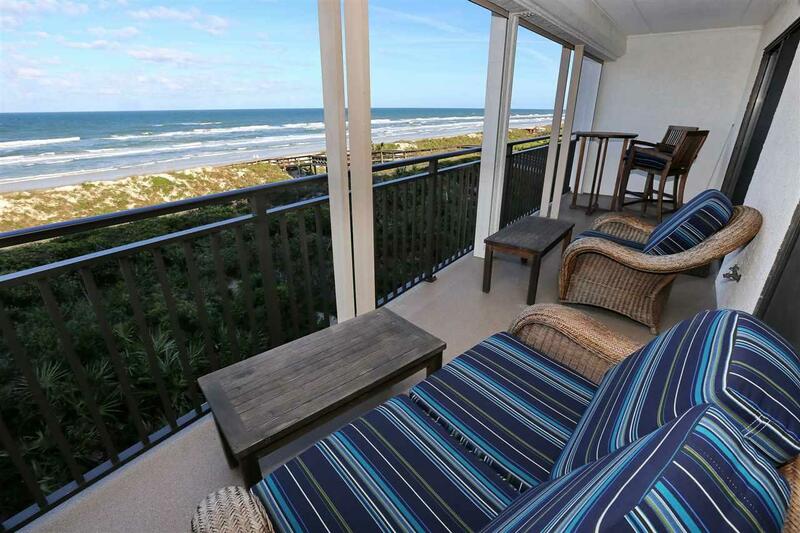 DIRECT OCEANFRONT SECOND LEVEL FLAT WITH INTRACOASTAL VIEWS. ENJOY THE SUNSET OVER THE INTRACOASTAL AND SUNRISE OVER THE OCEAN FROM THIS MINT CONDITION CONDO. VERY WELL MAINTAINED AND NICELY FURNISHED (OWNERS ARE REMOVING A FEW PERSONAL ITEMS). OPEN FLOOR PLAN PROVIDES GREAT VIEWS AND AN EASY FLOW WHEN ENTERTAINING. UPGRADES IN THE LAST YEAR INCLUDE NEW MOTORS FOR THE HURRICANE SHUTTERS, NEW HEATING AND COOLING SYSTEM, NEW PLUMBING, NEW DRYER VENT AND BALCONY & DECKING REDONE. 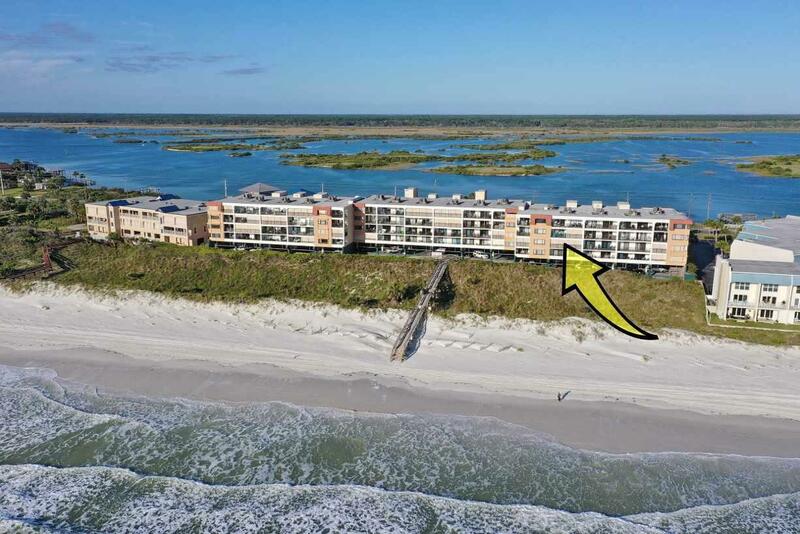 ENJOY THE DOCK AND INTRACOASTAL WATERWAY ACROSS THE STREET WHERE YOU CAN LAUNCH YOUR WATER TOYS OR FISH FROM THE PRIVATE PIER. PRIVATE GATED WALK TO THE OCEAN MAKES GOING TO THE BEACH HASSLE FREE. 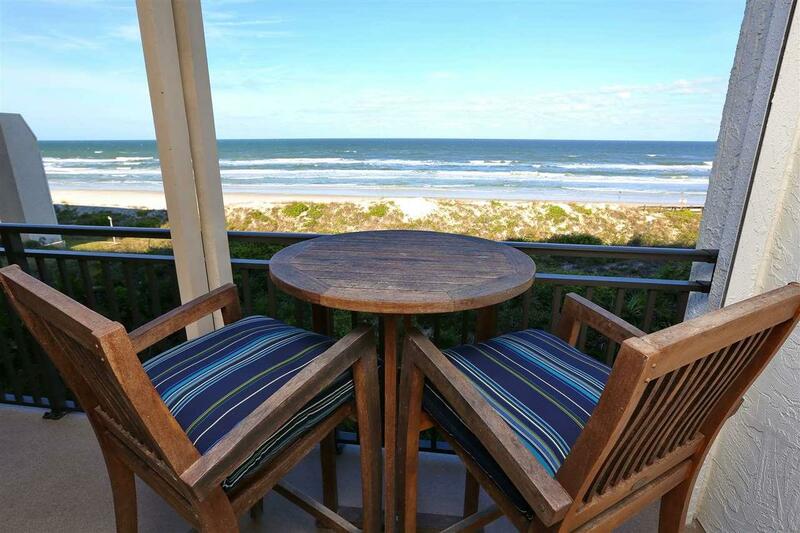 HUGE OCEANFRONT COVERED PATIO WITH ACCESS FROM LIVING ROOM AND MASTER BEDROOM. UPGRADED STAINLESS APPLIANCES, GLASS TOP STOVE, AND A EAT AT BAR IN THE KITCHEN. 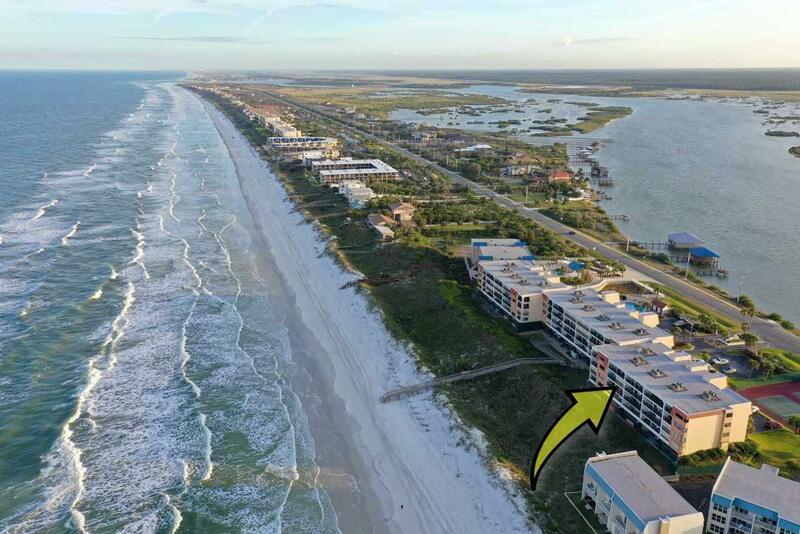 EACH UNIT IS ALLOWED ONE UNASSIGNED PARKING SPOT IN THE GARAGE AND A PRIVATE LOCKABLE STORAGE UNIT FOR BIKES, BEACH CHAIRS AND FISHING POLES. OWNERS ARE CURRENTLY USING THE CONDO BUT EASY TO SHOW WITH SHORT NOTICE.